Founded on the principle of a family-owned business. 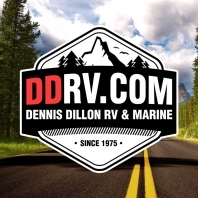 It’s what we were in 1973 when Dennis Dillon opened, and it’s what we are today as the largest RV dealer in the State of Idaho and California, as well as a premier RV sales, parts, and service center in the Pacific Northwest. DDRV sets the tone for a new age of RV Dealerships with outstanding service, friendly staff and the best prices guaranteed.